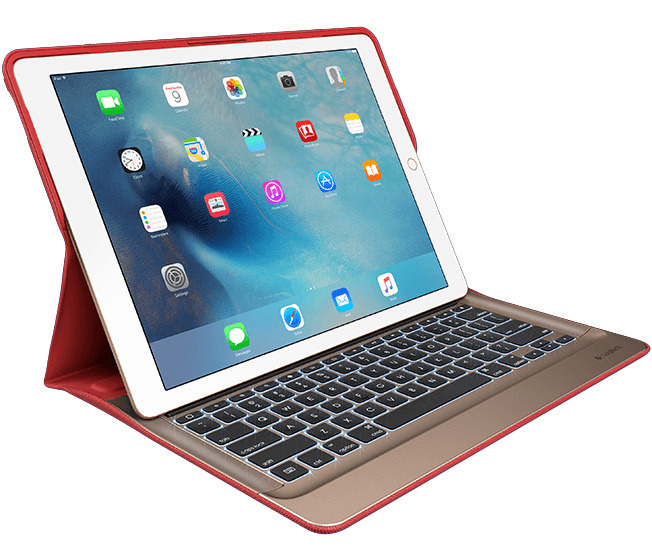 A German developer and iPad Pro owner, Stefan Wolfrum, recently noticed that the beta prompted him to update the firmware on his Logitech Create keyboard when he attached it, Cult of Mac reported. Doing so in fact solved problems the keyboard can experience with lag or dropped keystrokes. 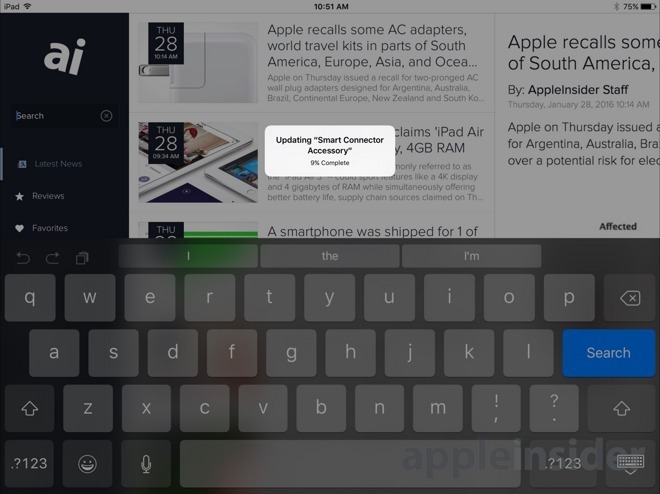 The new support was later verified in testing by AppleInsider, using the same keyboard. Once an update is underway, the process should take under a minute with progress marked as a percentage. Apple has previously advertised the Smart Connector's ability to transmit both power and data, but has never mentioned the possibility of updating firmware through it. The second public beta of iOS 9.3 was released on Wednesday. Other features of the forthcoming update include more 3D Touch actions, individually encrypted notes, and a Night Shift mode that changes the color temperature of a display after sunset.